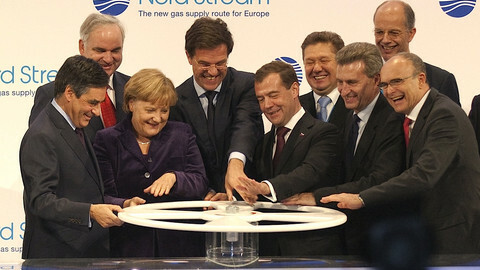 The European Commission has drawn up plans to ensure that a new Russia-Germany gas pipeline - Nord Stream 2 - does not reshape EU energy markets for Russia's gain. But the draft plan, a classified 10-page document seen by EUobserver, will only take effect if EU states agree, amid Germany's likely preference for handling the project without Commission involvement. The plan called for an EU decision "authorising the opening of negotiations on an agreement between the European Union and the Russian Federation on the operation of the Nord Stream 2 pipeline". It said the agreement was to "ensure a coherent regulatory framework contributing to market functioning and security of supply". It also said the Commission should be the "head of the Union's negotiating team", but that it would conduct the Russia talks "in consultation" with "a special committee" of EU states' officials. In what is likely to feel like poison in Russia's ear, the 10-page paper insisted, in an annex, that the pipeline should abide by EU laws on "unbundling" and "third party access". The unbundling law would force Russian firm Gazprom, which owns both the gas and the future pipe, to cede control of Nord Stream 2 to an "independent … operator" in order to "avoid conflict of interests". 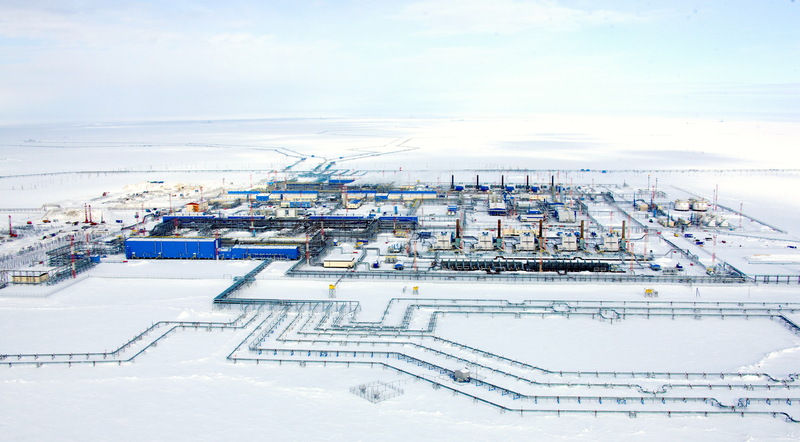 The third-party law would force Gazprom to allocate capacity on Nord Stream 2 to EU competitors "via regular transparent auctions" to prevent "market foreclosure" - a scenario in which Gazprom could cut off EU clients for financial or political motives. The same demands were so toxic that they led Russia to abandon a pipeline project with Bulgaria, called South Stream, three years ago. But the Commission annex added a further proviso - that the Nord Stream 2 agreement "should include appropriate measures" to ensure "sustainable long-term gas transit after 2019 along a number of existing supply routes, notably via Ukraine". It said those measures should also ensure that central and eastern EU states were still able to "open up their gas markets" and "diversify their gas supplies" after Nord Stream 2 comes online in two years' time. The EU imports most of its Russian gas via Ukraine/Slovakia, Germany (the Nord Stream 1 pipeline), and Belarus/Poland. But if Nord Stream 2 is built, 80 percent of Russia's gas would come via Germany, making Ukraine's pipelines obsolete at a time when it is trying to align itself with the West, and "sharply" reducing gas supplies via Poland, one of Russia's enemies in Europe. 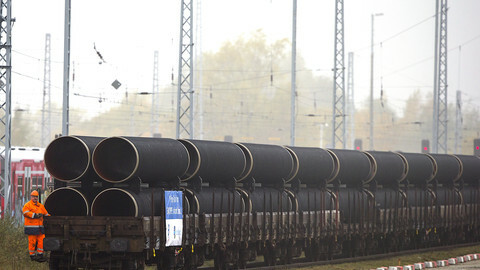 "Current transit routes for Russian gas could to a large extent be replaced by a single dominant gas transportation corridor from Russia to Germany," the Commission document said. 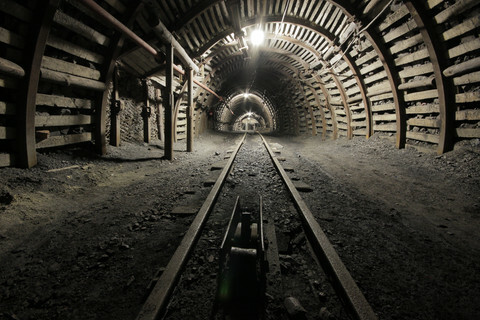 It said EU members such as Hungary, Poland, and Slovakia were building new infrastructure to import gas from western EU countries and to reduce dependence on Russia. But it said that if western states were fed more Russian gas via Nord Stream 2 it would "undermine" that effort to "diversify supply sources". It added that if Gazprom had a monopoly on Nord Stream 2 operations it would also "hamper the process of creating an open gas market with competitive prices" in the EU. 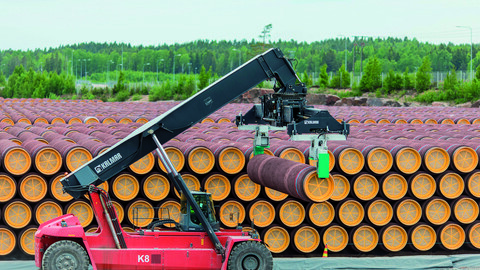 The 900-km pipeline is to go under the Baltic Sea from Russia to Germany via the economic zones of Finland and Sweden and Denmark's territorial waters. 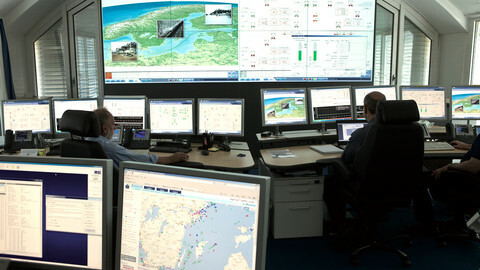 The Nord Stream 2 consortium, a Swiss-based Gazprom vehicle, has said EU legislation, such as the "unbundling" law, does not apply to its offshore part. A segment of the Commission paper entitled "Legal Analysis" corroborated this, saying "neither the EU nor its member states could claim to have jurisdiction on the part of an offshore pipeline outside their territory". But it added that unless the EU and Russia agreed a "specific regulatory regime", then Nord Stream 2 would not be "viable" because it would operate either in a "legal void" or under two "different" and "contradictory" legal regimes - the EU's and Russia's. An EU source said member states would shortly hold talks on the Commission's draft plan. The source said it was not yet clear if member states would decide on the Commission mandate by a majority vote or by unanimity. The first time the Commission put forward its ideas, at a meeting in June, 13 EU countries voiced support, but the German official in the room declined to speak. The centre-left SPD party in Germany's ruling coalition backs Nord Stream 2 and does not want the EU to put obstacles in its path. 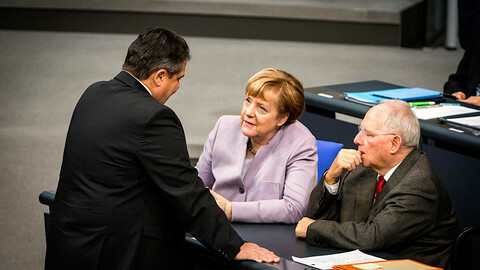 The CDU/CSU party of chancellor Angela Merkel contains Nord Stream 2 advocates, but also adversaries, such as Norbert Roettgen, the head of the Bundestag's foreign relations committee, and Manfred Weber, Germany's top MEP in Brussels. 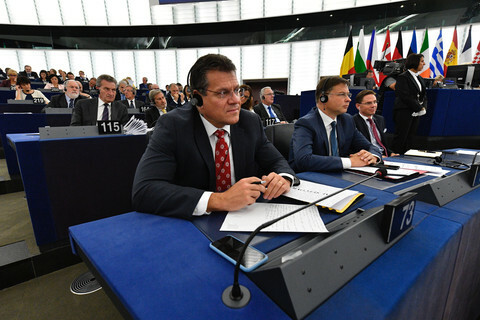 Commenting on Merkel's own views, Reinhard Buetikofer, an MEP from Germany's Green party, which opposes the pipeline, told EUobserver on Thursday (14 September): "The chancellor has done everything she could to dodge the issue politically. She has never expressed support for the project, instead she argues that it's a merely economic project that doesn't necessitate a political stance on her part." The Commission initiative comes amid a US threat to impose fines on Nord Stream 2 investors, which could pose problems for financing its €9.5 billion cost. The pipeline's strategic importance for Russia was highlighted when its foreign minister, Sergei Lavrov, recently showed interest in the fine print of EU deliberations. He said in Moscow on 1 September: "There's an official document from the European Commission's legal service that this project in no way violates the European Union's existing rules ... the European Commission however says: 'Well, yes, our legal service said that, but we think the other way'." If Lavrov's comments referred to the "Legal Analysis" in the Commission's draft mandate, they distorted its content by excluding the point on the non-viability of a "legal void". Lavrov's public remarks also trolled EU officials by showcasing that he had access to a classified text. The 10-page Commission document was marked "EU Restricted". Restricted texts, according to EU guidelines, could be "disadvantageous" to EU interests if they got out. They could also "adversely affect" diplomatic relations, "distress" individuals, or "facilitate" crime or "improper gain."